An actor, who has gone on to carve a niche for himself over the years, Suriya continues to charm and enthrall audiences with his consistent and dedicated performances ever since he made entry into the Tamil film industry. Despite hailing from a film background, he was an actor waiting to be moulded and in time has gone on to become one of the biggest and most popular stars while commanding a massive fan base. His 2018 started off with a bang as his Thaanaa Serndha Koottam took a massive opening with big collections and subsequently a major announcement in the form of him joining hands with acclaimed filmmaker Selvaraghavan for NGK. Although it was initially announced to be coming out for Diwali 2018, it was since postponed for a planned Tamil New Year April 2019 release with expectations still quite massive among Suriya's fans. The joy for Suriya’s fans didn’t end there as the actor teamed up for the third time with director KV Anand for Suriya 37, which includes a gigantic star cast that includes names like Mohanlal, Samuthirakani, Arya, Sayyeshaa, Boman Irani among others and will have its title unveiled on New Year’s Day. 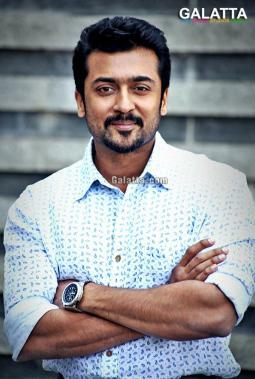 If that wasn’t enough, we now also know that Suriya will be collaborating with Irudhi Suttru director Sudha Kongara for a project tentatively titled Suriya 38 while the actor will also be coming back for yet another film with director Hari for the sixth time, Suriya 39, with reports suggesting it could either be the fourth installment of the blockbuster Singam franchise or a completely new family entertainer. With so much going on for the star in the year ahead, his fans are without a shadow of a doubt set to have a grand 2019. >>Check what Suriya gifted Uriyadi 2 Team!